Barbara Covett: [voiceover of Barbara writing in her diary] People trust me with their secrets. But who do I trust with mine? You, only you. 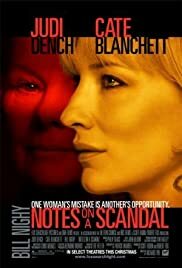 Reproduced by kind permission of Blue Mountain Music Ltd.
Brill, Dark, Witty....and "Marvelously Judi Dench/Cate Blanchett"
NOTES ON A SCANDAL is a Judi Dench "triumph" of brilliant wit, pain and a satanic passion for a woman out of reach in Cate Blanchett. 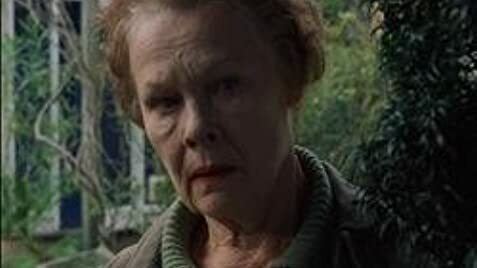 Her "Judas" to her supposed friend and fellow teacher is an acting performance which will land Ms. Dench right back in "Oscar country". 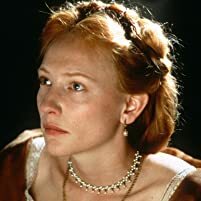 Too bad it is in the same year as Helen Mirren's magnificent "Queen" as Dench gives a show here in NOTES ON A SCANDAL that leaves you quite breathless to the last and final scene and fade out. Patrick Marber delivers a deliciously wicked, witty and crisply written script in NOTES, and it only enhances his reputation for giving an audience a story well developed and with characters that you can't take your eyes off on the screen. 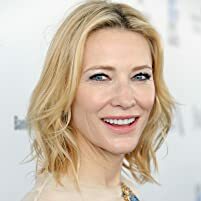 His writing in CLOSER was so brilliant and clever, but in NOTES ON A SCANDAL he hands Judi Dench and Cate Blanchett words that are zingers and with a strong blend of anger, pain and humor. Please, Patrick, gives us another film quickly! The "teacher/student" romance was well developed and the chemistry between the two actors was believable and very sexual, and one could understand the youthful passion delivered by a young man with a strong mind and body. I did at times have to listen carefully to the young actor's lines, but he delivered them like a pro. In the weeks ahead, I anticipate a "roar from the crowd" for this very dark and witty Judi Dench performance and who knows, she may upset "The Crown" in the end come Oscar time. 117 of 156 people found this review helpful. Was this review helpful to you?